The S&P 500 inched higher by 0.48% during June and my net worth followed suit thanks to the markets, dividends and most importantly savings. 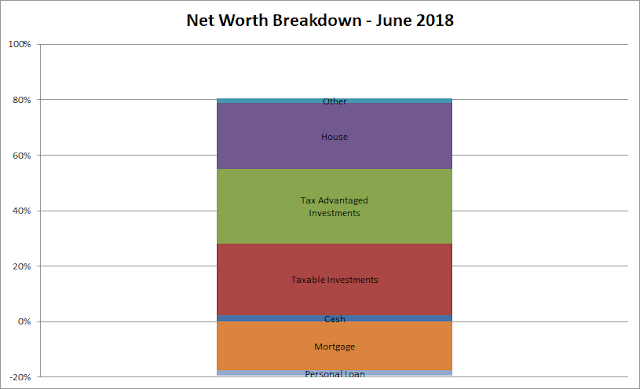 During June my net worth increased $1,829.77. 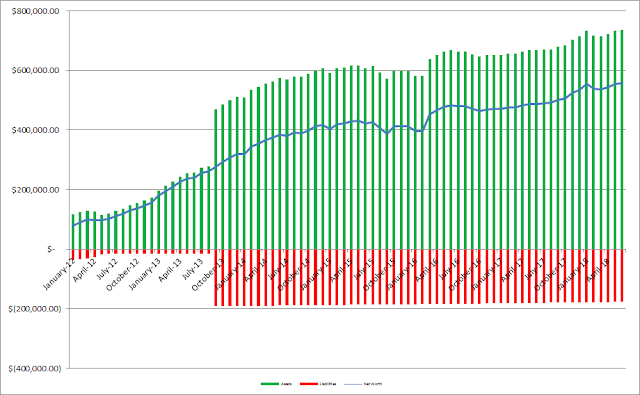 June just barely eeked out a gain for my net worth but any kind of move forward is a step toward progress. That pushes the streak up to 3 consecutive months of increases after the previous year long strong came to an end in February. For the month my net worth increased 0.33% and through the first half of 2018 my net worth has climbed 4.27%. 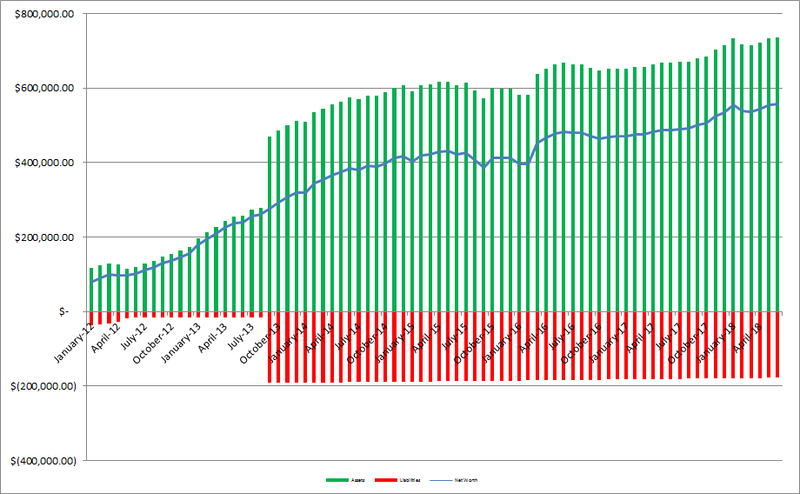 As of the end of June we have 26.4% equity in our house based on our purchase price from 2013. However, according to Zillow our house has increased in value around $42.7k from our purchase price which is a nice bonus, although I keep the purchase price as the value in the net worth equations. Based on Zillow's estimate the equity in our house jumps to 38.4%. Since I write so much (or at least try to) about investigating companies as an investment I figured it'd be fun to see how our balance sheet looks. 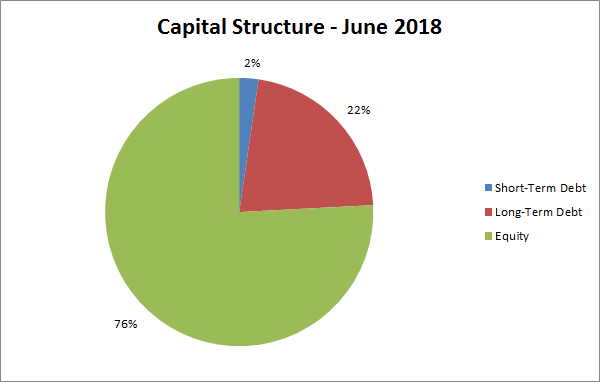 As of the end of June our debt to equity ratio remains at 32% and our debt to total capitalization is 24%. Not bad, but I'd love to get that debt down to ZERO! How did your net worth fair in June? What about for the 1st half of 2018? 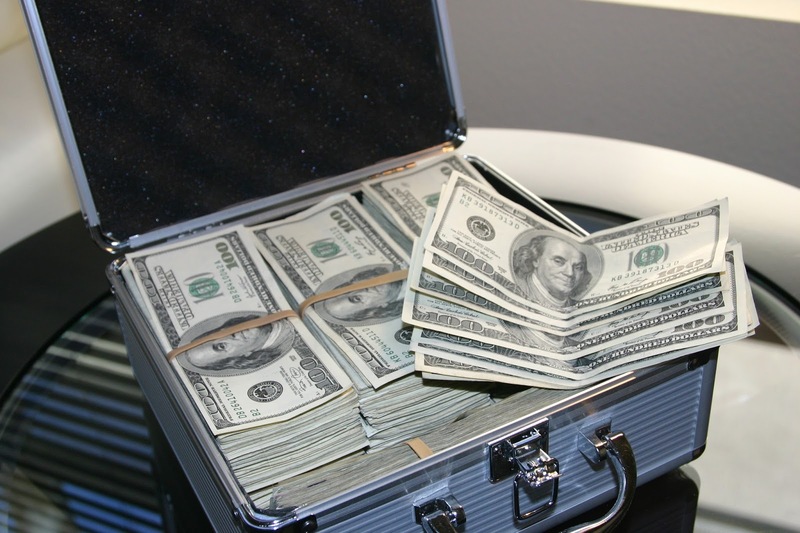 There's considerable debate as to whether to include your house as a part of networth.